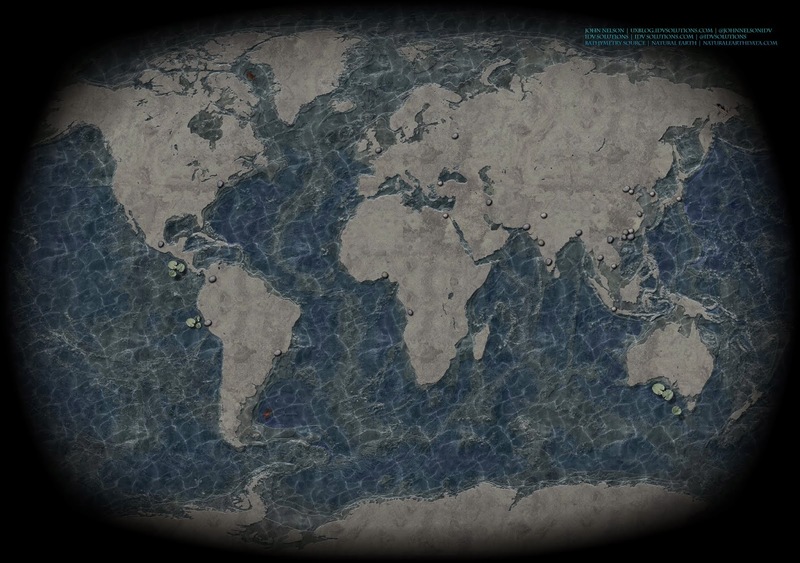 Here are some maps that you can set as your desktop image if you want to. 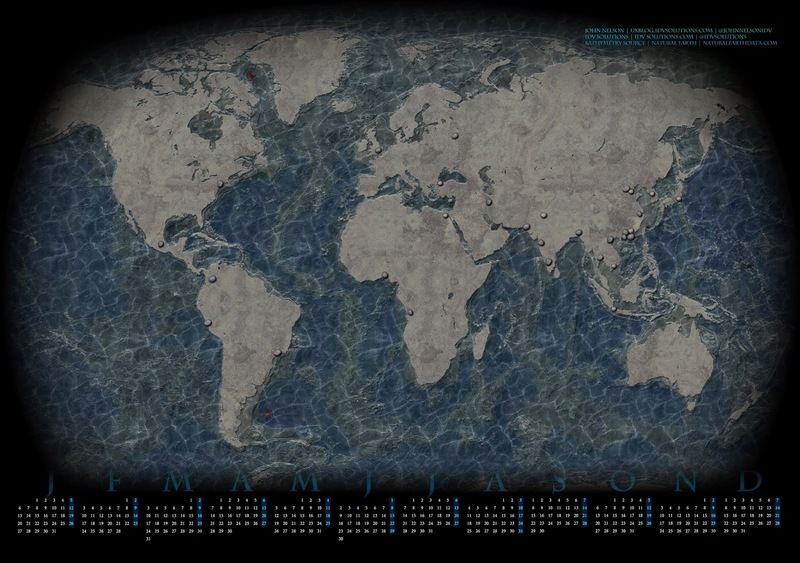 They are high-resolution photographs of the etched slate and sandstone pool installations I have in my backyard, carved to show the earth's varying ocean depths and filled to sea level. It's a real sonofagun keeping them topped off to the exact right amount of water, especially when it's hot, but totally worth it. 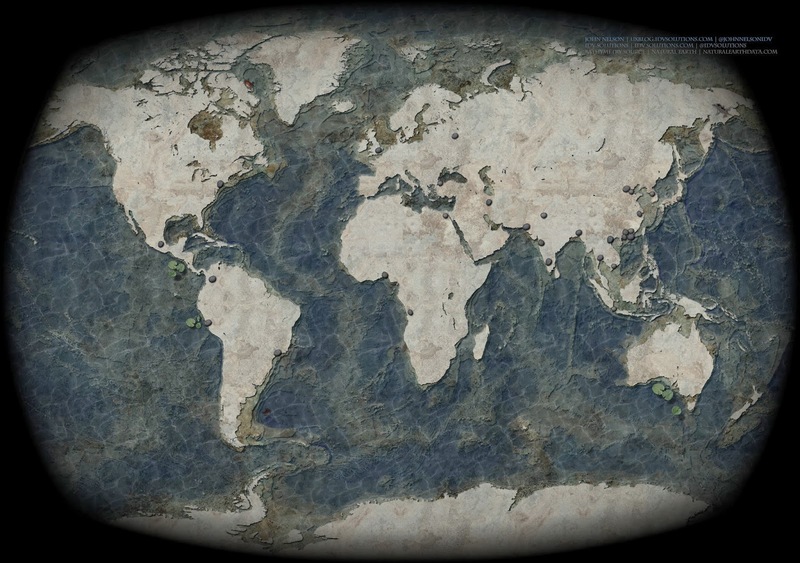 Anyway, they make fun desktop images if you are map-nerd inclined. An eye-grabber that will help you determine which co-workers are glancing at your screen when they walk by. Not cool. I added an optional version that has a 2014 calendar (showing week-starts on Monday, which is sort of how I think about Mondays). Can you spot the lizard? 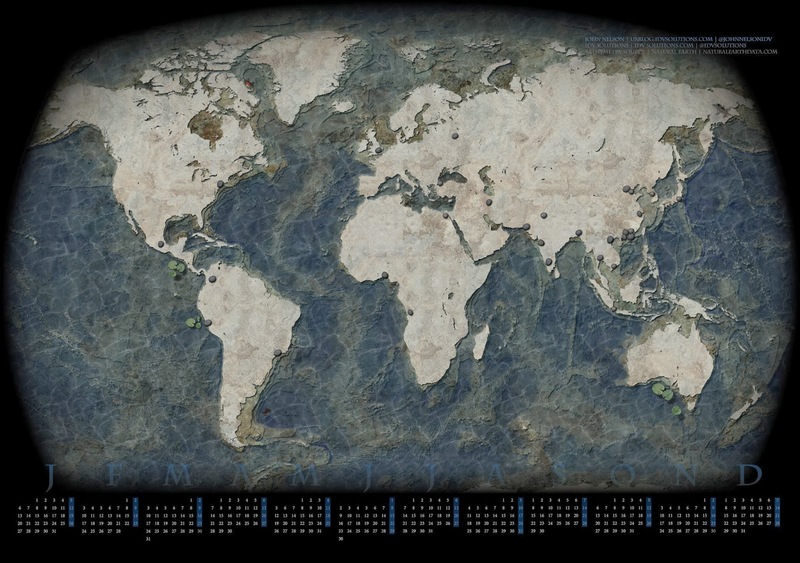 Also, you can browse the 2013 lot of maps that make alright desktop images for nerds. I almost forgot! A rock marks each of the 30 most populous cities in the world. You can quiz those looky-loos who don't know it's rude to peek at screens. Put them in their wandering-eyes place! P.S. I don't really have these slate and sandstone pools in my yard, but you knew that. However, they are totally real digital images of this data. Here's pretty much how I made them just mentally swap 'wood' for 'stone.' Also, before you point fingers, these maps use the Times projection and are not equirectangular or Mercator. Why? Refer to #14. PS: There's another "mapping of this onto that" that I've thought of (but never had the tools or experience to do): map human skin tones onto marble statues of people (like that of J, Caesar, Michaelangelo's David, &c.
PPS: Have you seen B. Fuller's Dymaxion Map? Everything is actual scale and shape, but he had to unfold an icosahedron, leaving big gaps here and there.